Why are some feminists so defensive when they change their names upon getting married? The Selfie Sorority Girls are not as shallow as you think. Our friend Rachel Tobias as a woman on the $10. Who would you like to see on the $10? Tech note: We used new mics for this episode! Tell us audiophiles, do we need pop shields? 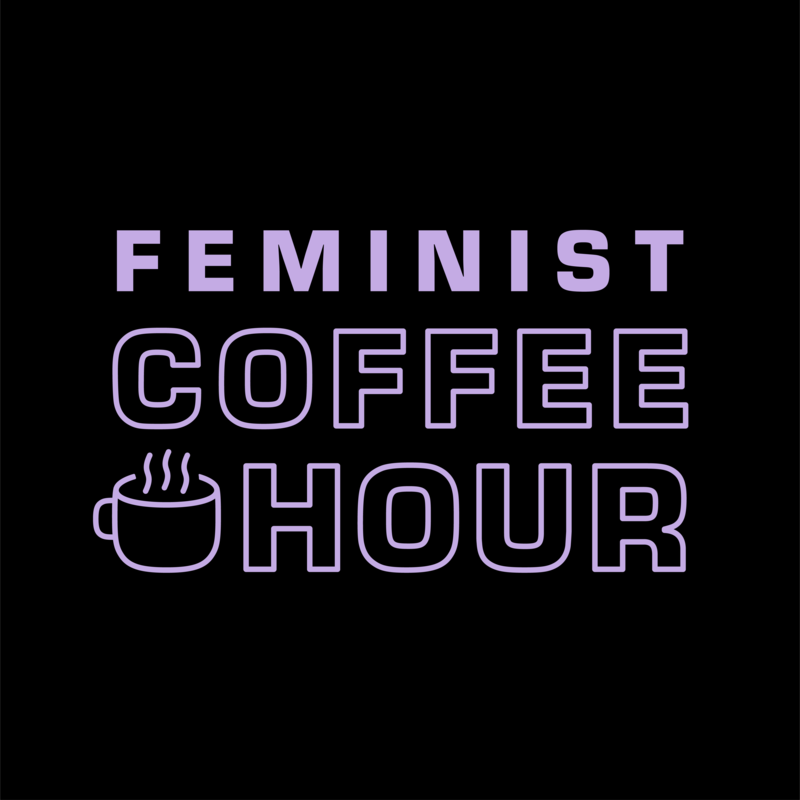 Are you on the edge of your seat waiting for episode three of Feminist Coffee Hour? (Coming very soon, on Thursday!) Listen to Karen and Elizabeth on “In Which We Reveal Our Ignorance” where we discuss microaggressions with Stephen, Sam and Mike. This was most on display in the opening monologue, when a man heckled Trump, yelling “You’re a racist!” It was a plant—Larry David, who had been in the cold open, reprising his role as Bernie Sanders—but the punchline, if there was one, went nowhere. Trump was unflappable, because he knew the heckle was coming, and David’s “character” immediately admitted he’d taken cash to yell at Trump. In a few moments of adroit comic shuffling, the show introduced racism, let Trump defuse it, and then revealed it as insincere. That’s a set of actions with profound commentary for what it means to allege racism in this media climate; naturally, then, no performers of color were on stage. To include them would have meant underscoring how messed-up the bit was, and “Saturday Night Live” was not interested in critical thinking last night. Rumors are circulating that Deport Racism PAC is linked to the Hillary Clinton campaign, but as the Daily Dot explains, all we really know is that the PAC was founded by a Clinton supporter. But the PAC’s link to Clinton is irrelevant when you consider Saraiya’s critique. Larry David legitimized Donald Trump. His “joke” was that we all know Trump isn’t really a racist. C’mon you guys it’s just internet crazies and angry Latin@s saying that. And in response, Deport Racism PAC has said that they’re giving the money to Larry David. #LarryDavid wins the $5,000 "bounty" from https://t.co/PcIfWXCmnT for calling Trump a Racist on #SNL. Joke or not, it was true. Go Larry! In declaring Larry David the “winner” they either don’t get the “joke,” are pretending not to, or don’t care. I’m leaning towards the latter. Which should make it very hard for anyone to take them seriously as a legitimate anti-racist organization in the future. So in this weekend’s showdown between a xenophobic megalomaniac and a nominally anti-racist PAC, the winner was Lorne Michaels. He played this whole thing expertly, as he should, having been in television for so long. But in not using satire to speak truth to power, Michaels and David reveal that the game is rigged. Trump looks good, SNL has some of the best ratings in years and Deport Racism PAC insists that they also won somehow. What’s left is a meaningless discourse that’s more about getting attention than making a coherent point or changing anything. 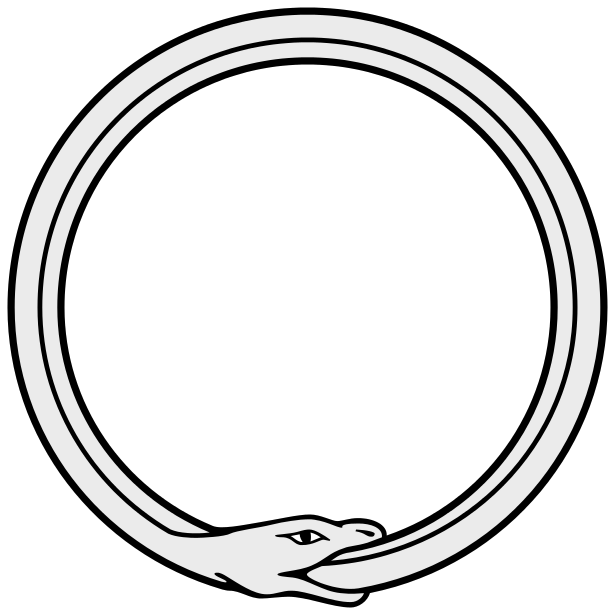 “Both sides” are feeding off of one another like a snake eating it’s tail (an example of the tagline for my podcast about the “political ouroboros.”) And the end result is that Trump improved his reputation. After all, that liberal Larry David didn’t think he was a racist!